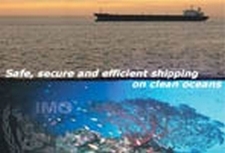 The 25th biennial meeting of the IMO Assembly has unanimously confirmed the decision of the Organization’s Council to extend the appointment of Secretary-General Efthimios E. Mitropoulos for a further term of four years, for the period 1 January 2008 to 31 December 2011. 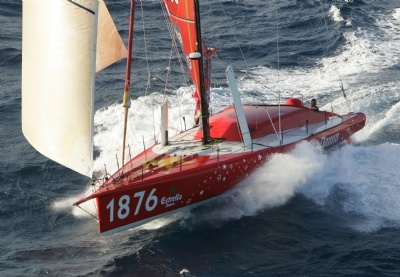 Through the first 24 hours of the Transat ECOVER B2B race from Bahia, Brasil to Brittany Mike Golding has been content to hunt with the pack, sticking with what he considers will be the main group of opponents. In its inaugral year IFSEC India 2007 has already established itself as Asia’s definitive security exhibition, attracting over 8,000 visitors worldwide. The launch event took place from 25-27 October 2007 at Pragati Maidan, New Delhi. Building on the success of IFSEC India 2007, the event will return to Pragati Maidan, New Delhi on 16-18 October 2008. 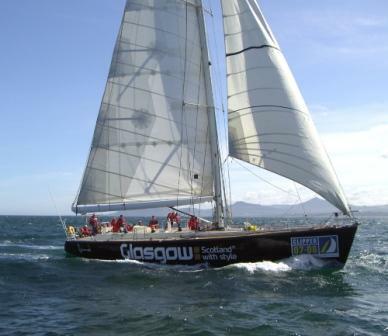 A big shake up in the leaderboard overnight reflects the difference in wind conditions across the fleet. 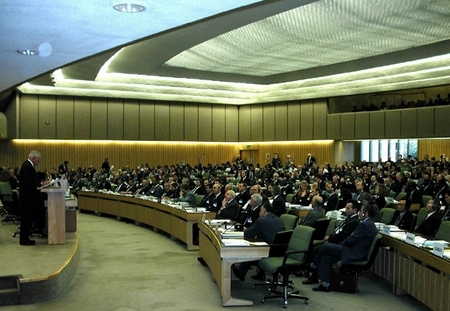 The last significant gap in the international regime for compensating victims of oil spills from ships is set to be closed, with the entry into force on 21 November 2008 of an international treaty covering liability and compensation for pollution damage caused by spills of oil, when carried as fuel in ships’ bunkers. Current regimes covering oil spills do not include bunker oil spills from vessels other than tankers. AgustaWestland is pleased to announce that Phase II of the Sea King Integrated Operational Support (SKIOS) contract has now been launched following the signing of the contract by AgustaWestland and the UK Ministry of Defence on 29th November 2007. 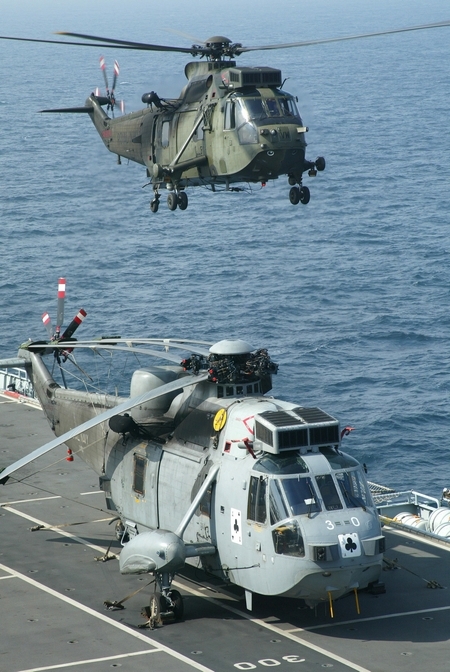 SKIOS Phase II introduces payment by the flying hour arrangements, emulating the successful IMOS contract for the UK MoD’s fleet of Merlin helicopters signed in early 2006. SKIOS Phase II also includes an aircraft availability output responsibility for UK military SAR aircraft that provide around the clock SAR cover for the UK and Falkland Islands. The value of the contract for the first five years is € 660 million (£470 million), with the potential of rising to €1.12 Billion (£800 Million) over 10 years. The contract is expected to run for the remaining service life of the Sea King fleet. 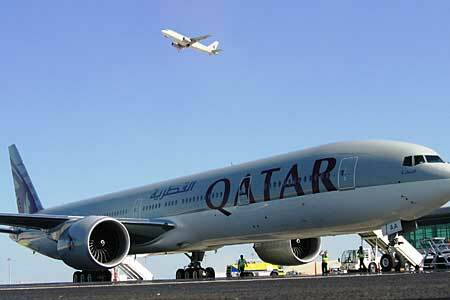 DOHA, Qatar, Nov. 29, 2007 — Boeing [NYSE: BA] and Qatar Airways today celebrated the arrival of the first Boeing airplane to join the airline’s fleet. Qatar Airways’ new flagship 777-300ER arrived after a nearly 15-hour direct flight from Paine Field in Everett, Wash.
SEATTLE, Nov. 29, 2007 — The Boeing Company [NYSE: BA] yesterday delivered a Next-Generation Boeing 737-800 to Tianjin-based Okay Airways Company Ltd., the Peoples’ Republic of China’s first private airline. 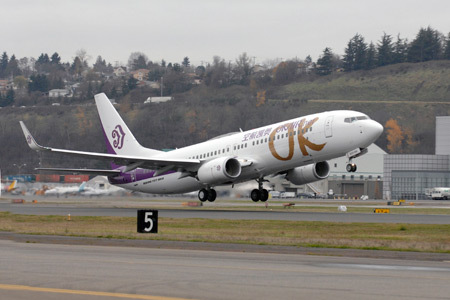 The new airplane, which is the seventh 737 in Okay Airways’ fleet, is under lease from AWAS (Ansett Worldwide Aviation Services). In fickle patchy South Easterly winds, grey skies and an oppressive sticky heat it was a pedestrian paced departure out of Salvador de Bahia’s Bay of All Saints rather than a brisk Brasilian samba for the 15 solo skippers who started the 4200 miles Transat ECOVER BtoB Transatlantic race to Port Le Foret in Brittany.